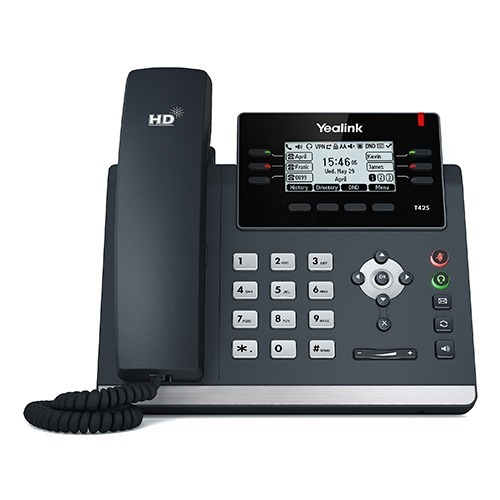 The Yealink SIP-T42S IP phone is a dynamic business communications tool for superior voice communications and extended functionality. It has a faster, more responsive interface than the T42G and offers better overall performance. The SIP-T42S is a 12-line IP phone with multiple programmable keys for enhancing productivity. It is with Yealink Optima HD Voice Technology and wideband codec of Opus for superb sound quality and crystal clear communications.What’s more, the SIP-T42S is built with Gigabit Ethernet technology for rapid call handling. Plus, with an all-new USB port, the SIP-T42S boasts unparalleled functionality and expansibility with Bluetooth, Wi-Fi and USB recording features.